1. Tickets to LegoLand in Chicago (2 adults, 2 kids) and Legos (really wants the "police jail")! He would also like some girl Legos for his 7 year old big sister! 3. 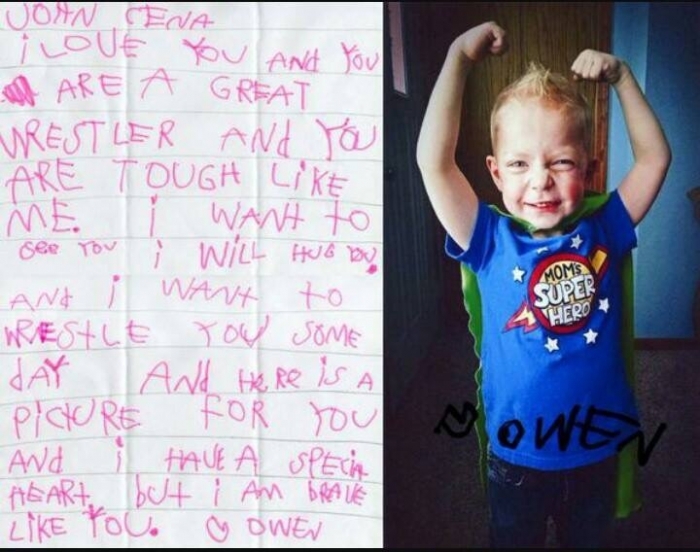 A note, phone call, photo...from John Cena! (He wants to be a superhero super strong like Mr Cena, which he obviously already is! 4. 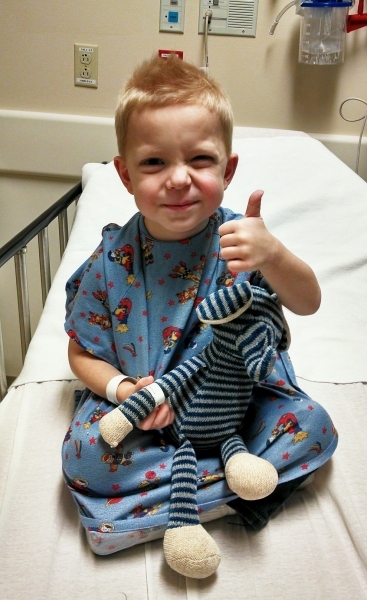 Activity books, puzzles... For him and other children in the hospital "so they have something fun to do" during his stay following heart surgery - let's send enough for him and all his friends!! Owen loves puzzles, mazes, Legos, letters and number activities and arts/crafts! He was recently named the local ambassador for the American Heart Association, join us in saying a big congrats for that accomplishment!